Hello dear ones! This week I was guided to use the Angels of Atlantis Oracle Cards by Stewart Pearce. For more information on Stewart see http://www.TheAngelsofAtlantis.com. My next live radio show will be Saturday November 22nd at 4pm EST where you can call in for a reading at 424-675-6837. I look forward to having you join me! 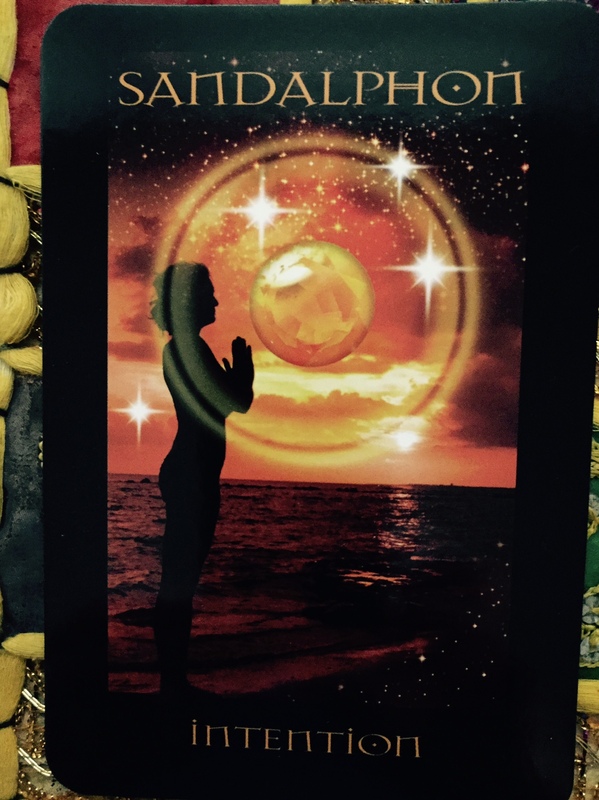 For Monday and Tuesday we have the message, “Intention” from Archangel Sandalphon. Be clear about your intentions and allow the Universe to support you in their manifestation. What do you want in your life? Sandalphon delivers your messages directly to God. Your thoughts, ideas, commitments are the very seeds that create your intention. It’s a good time to take a look at what you have been intending? Perhaps you have forgotten how powerful it is to live as a co-creator with God and the Universe. Do you have an intention to prosper, be healthy, create world peace, live in integrity, be kinder and more tolerant? What you are focusing on, you are intending. Be in the presence of your pure heart. Regardless of what is happening all around you take a moment to connect to your intention and vision of your life. Chant Hay in praise of the joy that you feel. For Wednesday and Thursday we have the message, “Meditation” from the Archangel Jophiel. 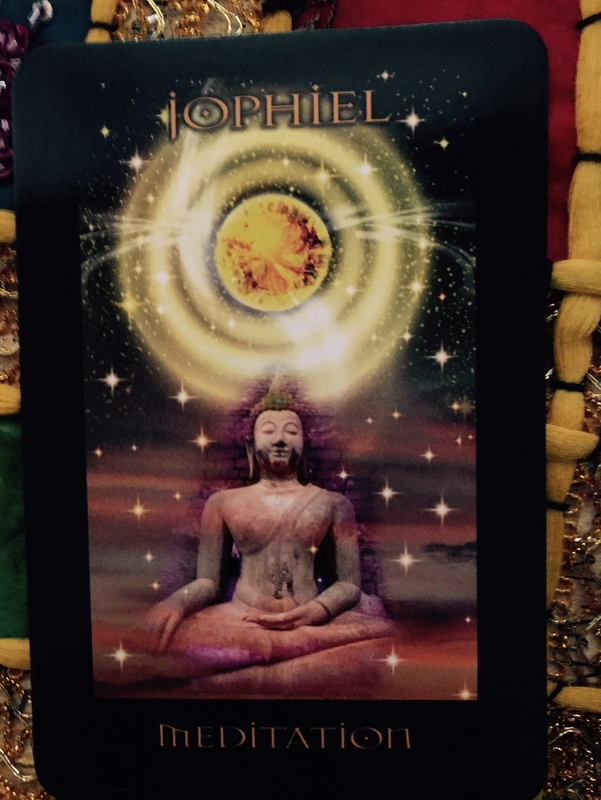 Jophiel helps us shift our thoughts to positive and peaceful ones. Here we are asked to take the time to meditate. If you have never meditated before please take advantage of the free program Deepak Chopra and Oprah are offering online with their 21 Day Meditation Challenge. They are about 15 minutes long and you can do them in the comfort of your home and schedule. If you are able to experience the sunrise and sunset, use this time to take in the colors and connect with Divine energy. Gaze at the beautiful colors and chant OM to yourself or out loud if you are alone. Coming to stillness in the midst of all the things happening in your life will connect you with your Divine energy, power and peace. Remember the power of meditation when you feel yourself caught up in the swirls of this world. It will clear you and allow for new empowering ideas and thoughts to enter your mind. And for Friday and the weekend we have the message, “Security” from the Archangel Zadkiel. 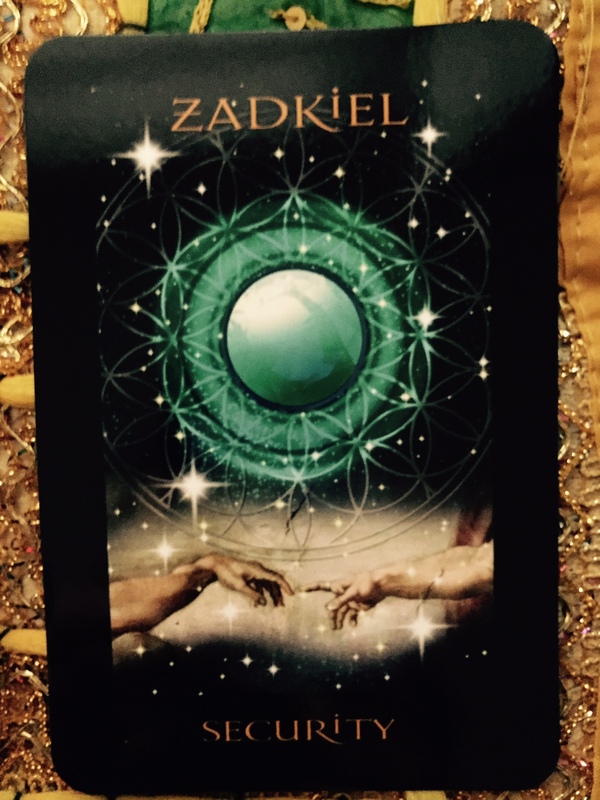 Zadkiel is here to assist you with any comforting you made require at this time to feel secure. His angelic orb is the sacred geometric shape of The Flower of Life or Metatron’s cube. Focus on this symbol and angelic orb as you need any healing with your body, worries, sadness and anxieties. You can ask for all of your your life challenges to be taken from you. The actual situations may not change or resolve immediately but you will experience peace. Chant Hoh to connect to this energy center. This is a powerful week where the angels are supporting us with our peace and happiness. We are reminded to check in with our intentions. Have a clear and focused intention of what we really want to have in our lives, allow time to connect with our inner stillness and humbly ask for all challenges be released to God. It is unnecessary to live with suffering and pain. By shifting our focus from what’s not working to what we intend to see as an outcome we can be prepared and expect miracles. COMING VERY SOON! ANGEL DATES aka MEETUPS 2014 IN NYC. Heaven on Earth in NYC! I am setting up several angel outings this Fall/Winter in the NYC area. These will be 2-3 hours, an opportunity to share and talk about angels, spirituality and healing. 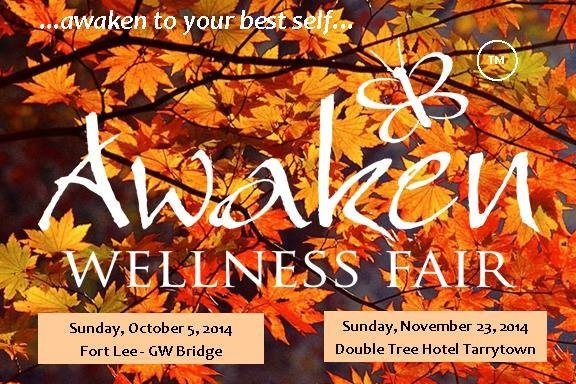 We will meet for light snacks or brunch and also visit and experience beautiful, healing, powerful energy places. I am interested in sharing these with and connecting with their powerful angelic presence. These will be free with your cost of paying for your food, beverage or ticket fee if applied. These places include museums, places of worship, holiday sacred music concerts or service, and nature walks. Contact me if you are interested for more information! Bcalvano-coaching@usa.net or on Facebook. Previous Weekly Angel Card Reading for November 3 through 9. Next Weekly Angel Card Reading for November 17 through 23.